Four new point-and-shoot Lumix cameras announced today by Panasonic offer a mix of new features to augment the company's pocket megazoom, rugged camera, and ultracompact camera lines. Joining the new Panasonic cameras announced just a few weeks ago at CES, the latest Lumix additions offer such features as 3D still-image shooting; enhanced in-camera GPS; a combination of touchscreen- and button-operated controls; and new, specially coated lens glass that the company says helps capture crisp, sharp images. The new cameras consist of the pocket megazoom Lumix DMC-ZS10 and Lumix ZS8 (which replace last year's Lumix ZS7 and Lumix ZS5, respectively), the ultracompact Lumix DMC-FX78 (which replaces the Lumix FX75), and the rugged Lumix DMC-TS3. The Lumix ZS10 and Lumix ZS8 are the new high-end pocket megazooms from Panasonic, extending the zoom range of last year's 12X ZS models to an even more ample 16X (24mm to 384mm, F3.3 to F5.9). Both of the new high-zoom compact cameras support full manual controls, revamped optical image stabilization that offers greater motion correction at the wide-angle end, and a new "nano surface coating" on the cameras' lenses that the company says reduces ghosting and improves image sharpness. Panasonic also says that the cameras simplify uploading to YouTube and Facebook via redesigned software. Beyond that, the Lumix ZS10 has a few major differences when compared to the similar but less tricked-out ZS8. The ZS10 carries a 14-megapixel CMOS sensor with a fast 10fps burst mode at full resolution, compared to the ZS8's 14-megapixel CCD sensor's 1.9fps continuous capture at full resolution. Also, the ZS10 offers in-camera GPS tagging and a map interface with points-of-interest and landmark information for 1 million international locations; the ZS8 lacks those GPS and mapping capabilities. Another ZS10-only feature is a 3D-shooting mode, which you operate by panning the camera from side to side to capture multiple shots, and two of these are combined to create an .MPO-format image; it sounds a lot like a truncated version of Sony's 3D Sweep Panorama mode. 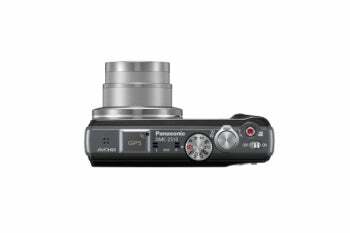 The ZS10 boasts touch-based focus, shutter, and motion-tracking controls on its 3-inch LCD screen, in addition to physical button-based controls; and it shoots AVCHD video at 1080i/60fps. The ZS8 doesn't have a touchscreen or a 3D mode, and its video caps out at 720p/30fps in MOV format. Both cameras are due in March, but Panasonic has not announced pricing details for either model. Panasonic's rugged camera line also receives a 3D-and-GPS-fueled update (and a fairly slick redesign) with the Lumix DMC-TS3. The new TS3 is a 12-megapixel CCD camera with a 4.6X optical zoom lens (28mm to 128mm, F3.3 to F18). The TS3 is rated as waterproof when submerged to depths of 40 feet (or less) underwater, shockproof when dropped from heights of up to 6.6 feet, freezeproof, and dustproof. It provides the same in-camera GPS functionality as the Lumix ZS10, as well as a barometer, a compass, and an altimeter to spice up underwater, hiking, and snowboarding shoots. The TS3 also offers the new 3D mode to capture .MPO images with a quick pan of the camera, as well as full HD video recording at 1080i/60fps. 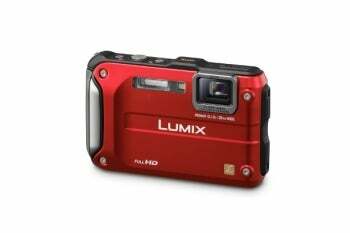 Panasonic's new flagship rugged camera supports a 3.7fps burst mode at full resolution and carries the new revamped uploading software for YouTube and Facebook. Pricing has yet to be announced; the TS3 will be available in March. 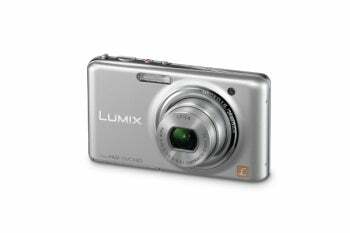 The 12-megapixel CCD-based FX78 is designed to be operated almost entirely via its 3.5-inch LCD touchscreen. 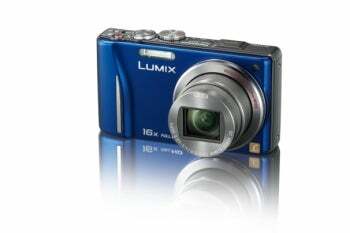 It packs an ultra-wide-angle 5X optical zoom lens (24mm to 120mm, F2.5 to F18) and is just 0.81 inch deep. The FX78 shoots full HD video as well (1080p at 30fps). The distiguishing feature here is the camera's range of touch-based controls. In addition to the standard touch-focus, touch-shutter, and touch-motion-tracking controls, the FX78 includes touchscreen "cosmetic functions," which let you apply digital makeup to a subject's face after capturing an image. 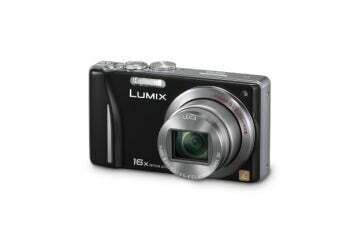 The camera also shares the same 3D-shooting mode and the upload-friendly software for YouTube and Facebook that the other new Lumix cameras have. Also due in March, the FX78 does not yet have a finalized price. This story, "New Panasonic Lumix Cameras: 3D, GPS, and Ghost-Free Photos" was originally published by PCWorld. The long-zoom, GPS-enabled Lumix ZS10 is a nice compact camera for travelers, but it suffers from indifferent image quality and mediocre battery life.